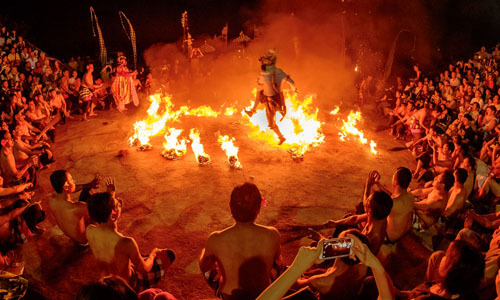 Traditional Fire and Kecak Dance Bali is a traditional dance that taken from Ramayana Story. This traditional dance is very popular amongs the other dances in Bali. And also one of the most popular tourist attraction in Bali. The popular place to watch this dance is at Uluwatu Temple. You may visit that site when doing Uluwatu Tour Itinerary or Tanah Lot Uluwatu Tour Itinerary with our Bali tour driver. It is unique dance with musical sounds produce by more than 30 people and combined with fire attraction. The music in this dance is coming from the sounds of word “cak”. More than 30 people pronounce the word at the same time. The “cak” sounds is the imitation of monkeys crowd. Traditional Fire and Kecak Dance Bali Main Character. Here is the main character of Ramayana story that taking part in Kecak Dance. King Rama is a good and wise king of Ayodya Kingdom. Queen Shinta is the wife of Rama. Laksmana is younger brother of Rama. Jatayu is a Garuda Bird and best friends of Rama. Hanuman is White Monkey General. Sugriwa is King of Monkeys Kingdom, uncle of Hanuman, and servant of Rama. King Rahwana is the bad king of Alengka Pura Kingdom. Traditional Fire and Kecak Dance Bali Story Line. Rama is a very good and wise Kingdom of Ayodya Pura. But because his bad step mother, his father sent him to the jungle. He accompanied by Queen Shinta and his brother Laksmana going through to the jungle. In the middle of the jungle, King Rahwana preparing a plan to kidnap Queen Shinta. King Rahwana sent his minister to attract the attention of Rama. His minister changing shape into a very wonderful deer. The deer attracts attention of Shinta and she asked Rama to chase it for her. Rama went to chase the deer and ask Laksmana to take care of Shinta. A few moments later, there is a screaming voice and they thought it is Rama’s voice. So, Shinta ask Laksmana to go after Rama and help him. Being alone, Rahwana take his chances to kidnap Shinta. But luckily Rama protect her with a spell. To trick Shinta to get out from the spell area, Rahwana change his shape. He turns into an old priest and asking for water. Once Shinta get out from the spell area, Rahwana grab and take her to his Kingdom. On their way, Jatayu the Garuda met them. Jatayu recognized that Shinta which is his best friend’s wife and tried to help her. Unfortunately the power of Jatayu is nothing compared Rahwana. Rahwana easily beat Jatayu and cut his wings. Realized what happened to his wife, Rama looking for a help and met Hanuman, the White Monkey General. Hanuman and his uncle has debt to Rama in the past and willing to help him so much. Rama ask Hanuman to searching for Shinta and bring a ring as prove that Rama will come to save her. On his way searching for Shinta, Hanuman met Jatayu and get information about Shinta. In advance, Hanuman go straight to Alengka Pura to meet Shinta. He easily found Shinta and give the ring to her. Shinta also give Hanuman a Frangipani flower as prove that she is still alive. Before left Alengka Kingdom, Rahwana’s army catch Hanuman and almost burn him. With his power, Hanuman fight back and destroyed most of the Alengka Pura area. This scene when the Hanuman rampage in Alengka Pura Kingdom. Fire attraction in the performances shows this scene. Once he back, Hanuman inform everything to Rama. Without waiting any longer, Rama, Laksmana and all the monkey army depart to Alengka Kingdom to safe Shinta. They could not be avoid the battle. Rama assisted by Laksmana, Hanuman, and Sugriwa having fight with King Rahwana. At the ends of battle, Rama throw his most powerful archer together with great attack by Hanuman to Rahwana. And finally bad King Rahwana defeated. Other than Uluwatu Temple, there are several places like Ubud area and Tanah Lot that also performing Fire and Kecak. Do not miss the performance after you are doing Bali Tour Itinerary. 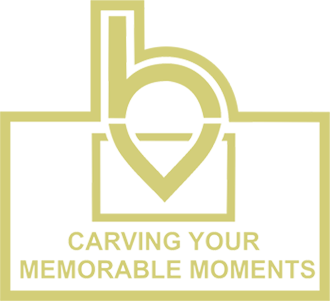 Bagus Tour Service provided Bali Private Tour. You can customize the trip to watch the traditional dance at the ends of the trip.